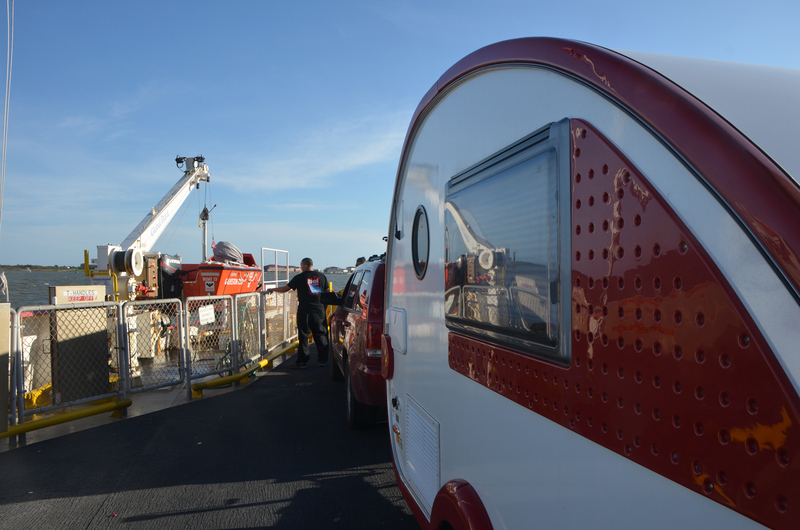 November 14th-15th – Gulf Coast of Texas – Off the interstate just short of Houston along the Bolivar Peninsula, a ferry ride takes me into Galveston. A night in Jamaica Beach, and along the blue water highway. 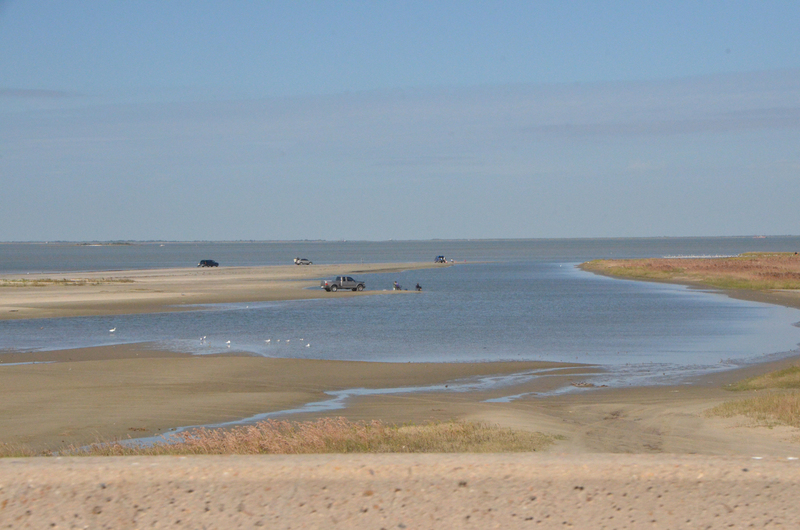 The first bit of the drive down the Bolivar Peninsula has a pretty good view of the water. Houses are up on pilings a story or so to protect against storm surge. As the road progresses it strays further from the water with more development between. Often you can see East Bay off to the north side. 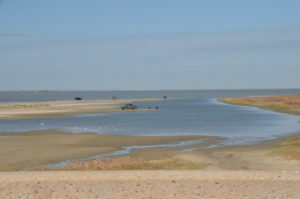 Highway 87 continues from the end of the peninsula at Port Bolivar via a ferry over to Galveston. 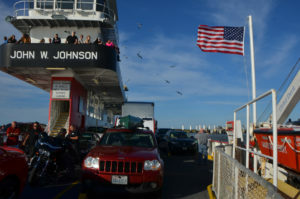 The Port Bolivar – Galveston ferry is a free service provided by the Texas Department of Transportation. I watched from the line along the road as a couple of boats plied the waters over and back. It was pretty clear there was a little wave action coming along with the light winds. But it was a nice day and the wait wasn’t unpleasant. It is a pretty short ride, but I got out to get a few photos. 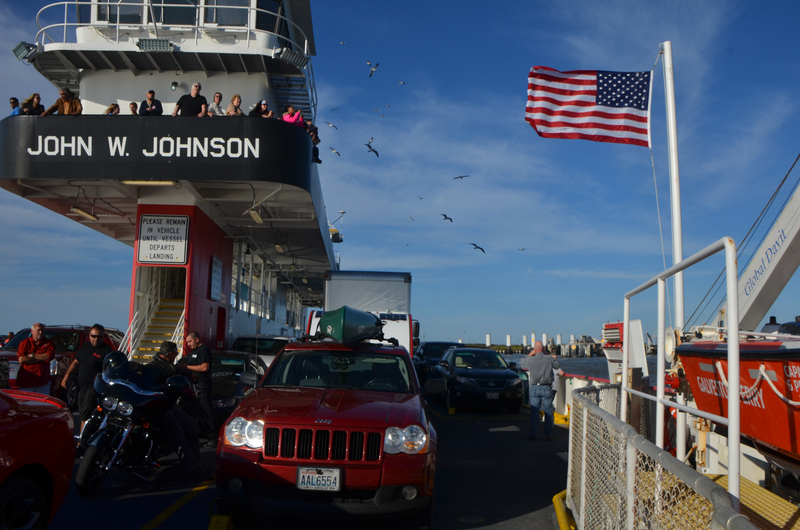 I ended up being near the front of a fairly new ferry, the “John W Johnson”. As we approached our landing on Galveston Island the walk on passengers were gathered on the deck in front of and beside my vehicle to prepare to walk off. I understand that sometimes folks see dolphins from this ferry. 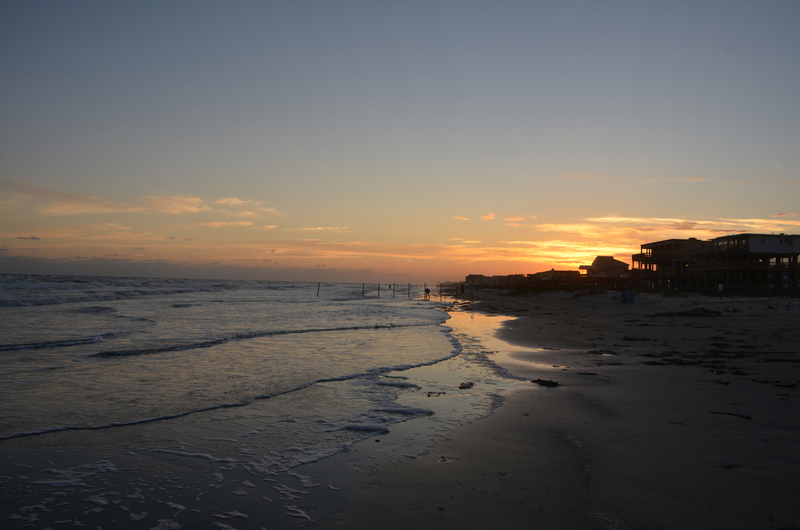 So might be worth a quick walk on trip over and back even if you are just visiting on the Galveston side. When I came off the ferry I made a turn a bit too early and ended up driving through town a bit. 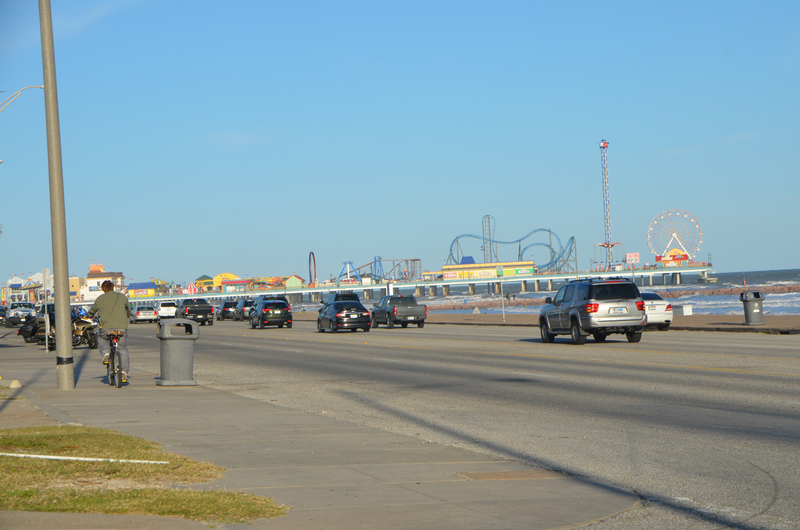 But I quickly found a place to turn left and back out to Seawall Boulevard which runs along the gulf. 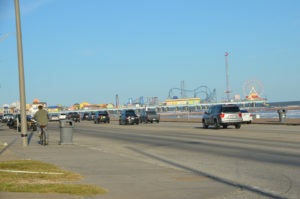 I got back on only to see that the “Galveston Island Pleasure Pier” was in my rearview mirror. I pulled over and took a couple of pictures, but I wasn’t in the market for that kind of entertainment just then. A nice drive along the boulevard with windows open and a light breeze blowing in. I had located and downloaded an MP3 of Glen Campbell’s performance of “Galveston”, and let it be the background for my drive. Seawall Boulevard transitions into a highway at the edge of town and heads inland just a little providing space for development. A short ways along I arrived at Jamaica Beach and found an RV park. They had a couple of spots and I was pleased at the accommodations. I dropped the trailer and headed out to visit the beach, and eventually took in a sunset there. The next day I continued on my way west, down the Bluewater Highway to Surfside beach. 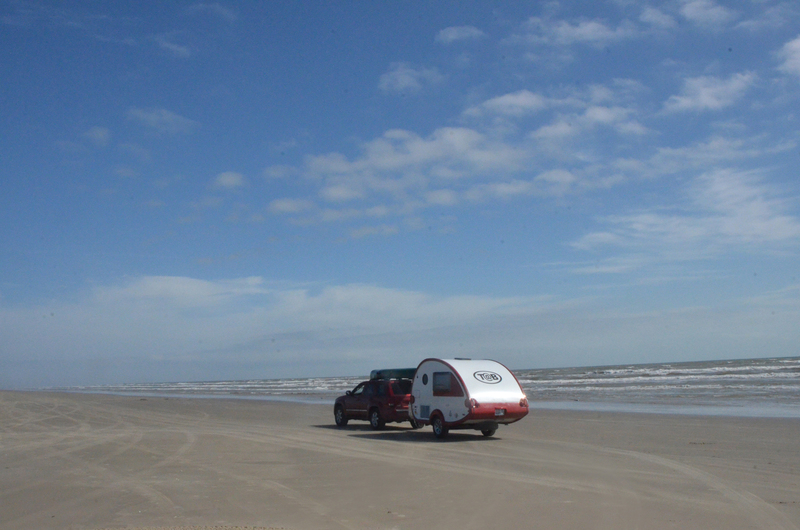 Along the way I found a beach where I could drag the trailer out on the sand. While I was wanting to keep moving I did stop for a short bit and open up the trailer to sit and enjoy a cold soda water and a light snack. Looking out over the marshes of the Smith Oaks Sanctuary. Ferry as seen from the waiting line. Notice the water plowing up from the bow (right) – also note the pelican. Closer shot of the ferry. Finally, my boat. Wasn’t actually too long of a wait. Strong breeze has the flag out straight. A little water slashing up. Walk on passengers gathered to debark. Looking up and down (mirror) the seawall. Managed to get a shot without so many parked cars. Jamaica Beach RV Park – After the adventure with ants in Florida I was really appreciating the all concrete pads here. Since everything is up on stilts, you’ll need to climb stairs to get to the restrooms about 15 feet above ground. Looking down from the restroom deck over the shallow lounge pool. Out on the beach. I parked and went for a walk in the direction where cars weren’t allowed. My walk was ended by this little stream. No worries, sun was going down and about time to turn around anyhow. Next day – heading along, pleasant, flat, straight drive. While the Ferry at the other end is free, this toll bridge is $2. It is pretty long, and has a tool booth at just one end. Raised bridge with low speed limit, provided a nice view to left and right. Folks out enjoying the beach. I opened the trailer up and had a quick soda water and snack. And watched the shorebirds come and go.